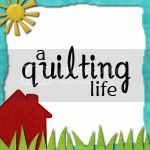 Sew We Quilt is kicking off another blog hop. 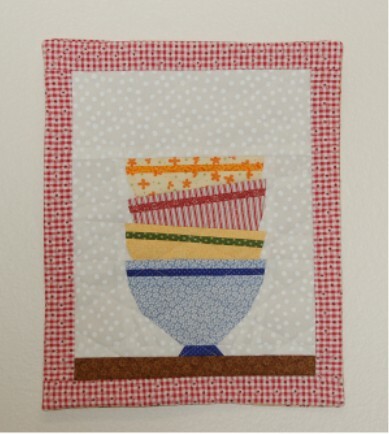 This time it's "Bowls w/ Borders" using Regina Grewe's paper piecing paper. The Hostess for this hop is Carol. I decided to join in the fun even though paper piecing is not one of my favorite ways of piecing. Regina's pattern went together pretty easy and before you know it I had mine done and ready to post. :o}. I only made a stack of 4 bowls. When you live in an apartment you don't have much space. Hop you have fun on the hop. A sweet mini of country bowls, perfect for a small space! Thank you for sharing with us today. Cute bowls, love the check border fabric! Thanks for sharing the colourful bowls with the red check frame. Great bowls and love the checked border. Simple, clean lines without all the frou-frou flowers (I love flowers, but sometimes we have to think outside the garden patch). I like your pile of bowls, nice colors and they are looking great. 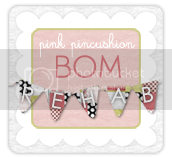 Snooped around your blog, you make great things! Nicely done! I live in an RV and know exactly what you mean. I just try hard to make the most of it! Yor bowls are so summery, love the colors! Love your bowls! Thanks for playing along! Great job. The bowl pattern is so cute. Love those fabric choices, especially the orange! I like your happy bowls very much. Good morning....I love your bowls! 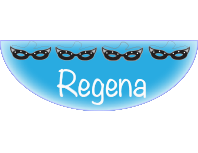 RosemaryB here: Regena, your block of bowls is great! I love the border too. Very nice. This was a fun projects, I am so glad you shared yours! You have a very pretty stack of country bowls there. Thanks for sharing. Your four little bowls are so pretty! Thank you for sharing! This screams country kitchen to me. I love it with the red border! Wonderful stack of bowls and love the remark about living in an apartment without much room! This will be perfect in the kitchen! Just the right number of bowls for a small apartment! Cute! Four bowls are perfect for an apartment wallhanging...love the gingham! How cute! The red gingham border makes it very homey! Lovely bowls. Great fabric choices. 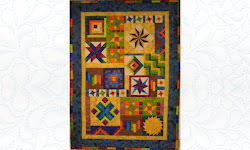 I love the twister quilt you made and you jelly roll challenge quilt. Only 4, but they sure are a cute stack! This stack would fit perfectly in a small apartment. I like your colors. I really like it! Your bowls are on the table and I love the red checkered border. Great job! I love your bowls and your blog. You are a very creative woman. You know what? Four bowls is just about all any of us need, right? It's really cute! Even apartments need a few bowls! Nice job. Too cute! I live in a house and I only made one bowl....grin. Sometimes that's all ya need. I like your little wal hanging! Sometimes less is more! Very nice! Love the red check border. Cute stack of bowls. Little quilts for little spaces! Lovely. I love your apartment sized hanging. very sweet. Your bowls are great! Thanks for posting. I like your fabric selection. Thanks for sharing your bowls. So very cute!! Love it!! Your apartment sized bowls block is so very cute. I like the checked border around it too. Too cute. 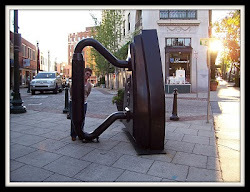 Just the right size for an apartment! Thanks for sharing. Thanks for sharing your cute "apartment sized" bowl block. So cute! Glad you joined the hop! Glad you enjoyed the paper piecing long enough to make this little wall hanging--it's adorable! Love your bowls!! I like mini's! Love your bowl and your cat! 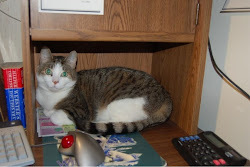 I have 3, one like yours a grey tabby with a tuxedo front. He's sleeping on the bed now as I write this. He's a "time-share" kitty. He spends the day with my husband and the night with me. Thanks for sharing. Very cute little stack of bowls! Thanks! I love it so simple and cute. You did a really nice job! Good job! I so understand the limited space in one's apartment! You helped me decide to make only a few stacking bowls as I wasn't going to make anymore. I really like them. Thank you. Great job!! sometimes we have to step out of our box....I stepped out of my box with only 2 bowls and that is better than no bowls. Thanks for sharing, have a great week!! Your bowls look great, I really like your bowls and their gingham frame. It makes a very cute wallhaning!! And you did what you were asked seems to me it said make 1, 4, 7, 19 whatever. There is no shame in doing a few, it worked for your situation. Point is you made them and played along in the hop. Not everybody did! Good job! It does not have to be big to be nice anyway! Like what you've done with your bowls. Thanks for sharing!